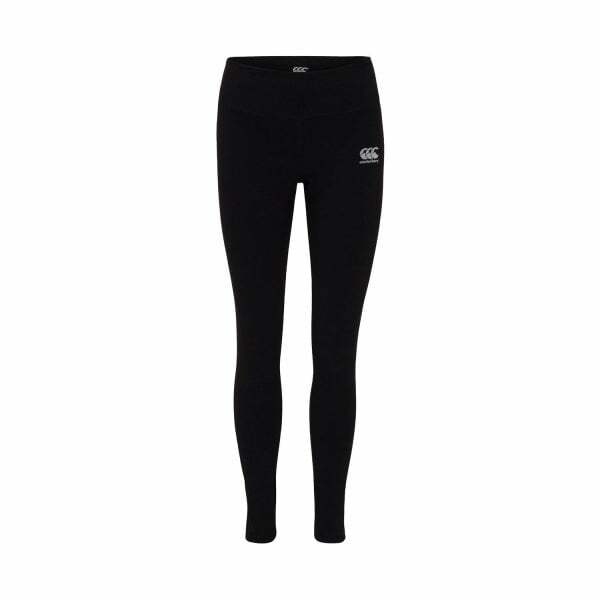 Whoever said black attracts heat hasn’t worn Canterbury’s Jet Black Full Length Tights. They use VapoDri technology to keep you cool and dry while you work out by boosting the evaporation of sweat. The soft and functional fabric used in Canterbury’s VapoDri Full Length Tight provides superior comfort and the support you need during a workout. Our VapoDri technology keeps you cool and dry, wicking moisture away from your body and the extra stretch waistband and mid rise fit hugs the body for added comfort. Add to that reflective Canterbury branding for improved visibility in low light and you have the quintessential training tight for the active woman’s wardrobe.